Today as I sat in Operations I witnessed a near miss......or hit as it may be. Trying to pay full attention to the conversation at hand concerning a generator for a back up power source, I can't help but listen to the traffic calling out positions heading to the field. As a Cirrus was in the pattern, downwind I believe, a Cessna called out a ten mile position/inbound to land and a Citation had just taken off 10-15 minutes prior. Seemed like activity was picking up. The Cirrus was base then final with a super smoooooth landing…looked great. With a quick taxi back he was off. Turning cross then downwind the Cessna calls out entry on crosswind then turning base no. 2 for landing with traffic in site. Ahhhhhh…it always good to hear and picture the pattern even if I am on the ground….working. Now there is another Cirrus on the ground taxing out from the FBO area, and the other on final for 28 as I look north and see an aircraft heading west to east north of the 19 approach…..but close to the field. I continue with my discussions with about equipment when I see the cirrus touching down. Someone calls out on the radio "plane landing on 19! 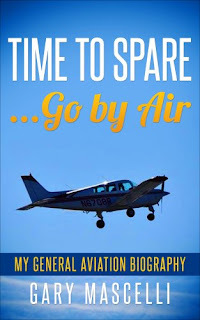 ", the cirrus that was taxing made the call, after he blew through the hold short at 19 and must have crapped since he saw this banner plane rolling out (with no radio calls) The airborne cirrus had touched down, I turned to look north and can’t believe what I am about to see. The landing cirrus rolls past 1-19 on runway 28 and the banner plane tries to steer clear and in doing so turns so hard the left wingtip scrapes the runway. He does not wreck it but I bet the house he needed a change. Thank God the cirrus was quick and the other was a banner plane plodding along…there was room to spare. The banner plane never flew over the field to check on wind direction or traffic and in IMO didn’t do enough to see and avoid. He did state he did clearing turns to look for traffic but I didn’t see them I just saw his right base entry in a left traffic pattern for 19 of which was NOT the active. He did say yes he entered on a right base as was not aware of the left traffic pattern. The banner plane did not have a radio on board. A learning experience for this pre checkride pilot…….I hope to finally take the checkride after the 4th of July!! No, flight training hasn't come to a halt! I did not manage to get a mock checkride scheduled prior to my vacation so that means I did not get the real deal checkride scheduled while on vacation. Mary and I did however have a great time soaking up the sun and enjoying the slow pace at beautiful Lewes, De. We managed to pick up Maggie from the boarding place and she was not a happy girl. She seemed a bit down in the dumps, no tail wagging, no body shaking/wiggle just a ho hum.....who are these folks attitude. She climbed in the SUV and we headed home, the final stop completed. Once finished with her bath, since the boarding place didn't get it done, she seemed to feel a bit more at ease. Vacation complete, and baseball over for the season I can really get the private pilot license wrapped up. It looks like rain all week but I will manage a few hours when I can just to knock the rust off. Hope to be updating with some flight info soon!!! I scheduled "fly time" today just to get that extra work in on stalls, emergency procedures (the process, not actual simulation) and short/soft field landings. I was off to the DQO VOR followed by a turn west to the practice area (about 7 miles south of 40N) Everything went smooth followed by a return to the pattern that I was sharing with another student that was taking his checkride the same day.....lucky guy and another student pilot working on landings. I had a fun time this morning working my way back into the pattern with the others and my landings were ok today too. I hope to get some time in before vacation and maybe finally get the checkride scheduled. It seems to be getting farther away instead of closing in..........I am learning patience.....I think! The sky did not look good at all today. I thought for sure my 5:30 lesson would be a no go. I left work on time and figured on giving Maggie girl (Italian mastiff) some run time before heading north to Brandywine. I arrive a bit early and sign in when my CFI walks in. I told him that I spent some time on slow flight and steep bank turns last week but with the haze and poor visibility I decided it was best to come back to the airport and beat myself up landing. He got a chuckle out of that and then I proceeded to tell him Saturday was a no go due to weather CIG at 3400, not much room for stalls and cloud clearances. I am off towards my first check point, New Castle Airport (ILG) utilizing the DQO VOR to simulate a flight plan for lower Delaware. Once on course and about 2800 feet I turn west and head out to the practice area about 4 miles or so south of Chester County (40N). After clearing turns I set up for some slow flight. Power back to 1500, holding level bleeding speed I add flaps and trim for 50kts. A slight adjust on the power and I am ready for some gentle turns each direction followed by climbs and descents. Ok, back to straight and level and time for approach/power off stalls. Slowly raise the nose, stall horn , buffet...mush for controls and she breaks. quickly yoke forward with full power holding below the horizon ...positive air speed and I remove a notch of flaps at a time moving that right hand back to the throttle each time. Not to shabby....didn't loose much ALT at all. I do a few more rounds then decide to practice power on. All cleaned up and throttle back to 1500 bleeding speed. Ok about 70 kts now I add 85% throttle and continue pitching up. Keeping the yoke coming back and the ball centered with right rudder the stall horn screams out and 46C breaks. Quickly yoke forward followed by a touch of left rudder to correct for the break to the right....gaining airspeed and coming to level flight. I then adjust rpm for cruise and realign myself in the east west flow and look for reference points. I practice each maneuver a few times making sure I have a "brisk" forward yoke movement for stall recovery. Time to head for home as I bank right to come to an easterly heading. I dial in the Modena (MXE VOR) for the direct TO at 100*. Passing over the VOR at 2500 I keep the head on a swivel and run a parallel course to the runway for N99. Checking for traffic I turn towards N99 on a 4 mile 45* entry for right downwind runway 9 and....and....I FINALLY remember to call my dang direction from the south east!!! I enter the pattern all alone and run through my checklists. Abeam the approach of r/w 9 I throttle back to 1500 and run through the landing procedures. Lined up on final looking good....65 kts today just adding enough to get me there I set down and decide to pass on braking hard for shortfield and instead taxi long to my turn off. I call clear r/w 9 and perform the after landing checks. I have some time left for maybe one more round so instead of ending on a good note I tempt fate. Leaping off the ground and flowing in the pattern my confidence is gaining. Turning final now with speed really good and trimmed out nice, I am just settling my way to the numbers. Pulling what power is left I flair really nice, then as I sink I flair a bit to much and float....remember no real airspeed now and 46C plops on the ground as if to say great job nitwit! Grrrrrr...not happy with that but I decide to call it a day. I taxi back and tie down still shaking my head in disgust. All locked up I give 46C a pat on the cowl and promise not to do that to her again. I will call for a mock checkride tomorrow..........I'll post the date!